The NRM National Jumping and Show Hunter Championships got off to a fabulous start with the opening speed rounds on Friday 9th February. A handful of riders made their mark finishing at the top of their leader boards, giving them the best advantage before the final rounds on Sunday. In the feature class of the day, the Dunstan Horsefeeds & Equifibre NZ National Grand Prix Horse Championship in association with Wilcox Perlas Potatoes, each combination gave it a great shot over the John Vallance built Table C class. First out Nicole White and LC Samson set the bar high with a slick time, but unfortunately one rail to finish with a time of 71.99 seconds. Many tried to better this time, taking the odd rail in the process. Lucinda Askin who had shot over from another ring didn’t make the course walk, so she was going off her instinct. As the bell rang she accessed the inside turn after the wall and went on to pull it off to finish in 66 seconds flat. Askin was also the only rider to keep all the rails intact to take out the first day’s competition with a good margin to the following riders. The greatest spectacle came from the speed demon ponies in the Fiber Fresh NZ National Pony Championship. Their careful and brave qualities were definitely on show in this class, with riders pushing the limits to achieve a good time. Clear jumping resulted in zero seconds added to the top four combinations. The best of them all was Noah Coutts and Bizzie Canoodling, pulling out all the tricks to come home in 51.90 seconds. Hot on their heels was Sophie Scott and Benrose Playtime less than a second behind. Such tight standings will make for a great, pressure cooker final. 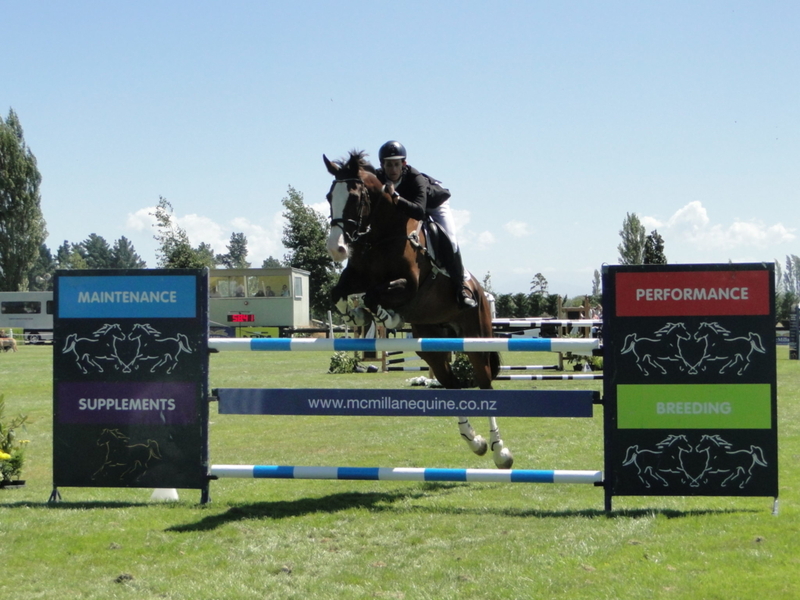 Todd Magner and Awatuna Jonesy relished being back in the South Island taking the lead in the McMillan Equine Feeds NZ National 1.30m Horse Championship. Their time of 59.59 seconds was well clear of second place getter Dani Maurer and Madam Coco, who finished on 64.71 seconds, including a rail at the boogie fence number eight. 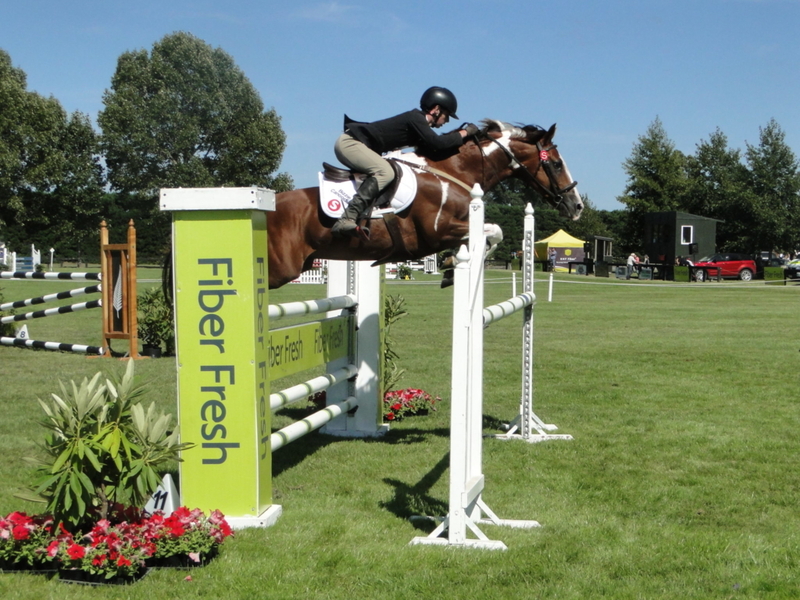 The same fence also spoiling an otherwise great round for third place getter Sally Spicer aboard Bella Vi. 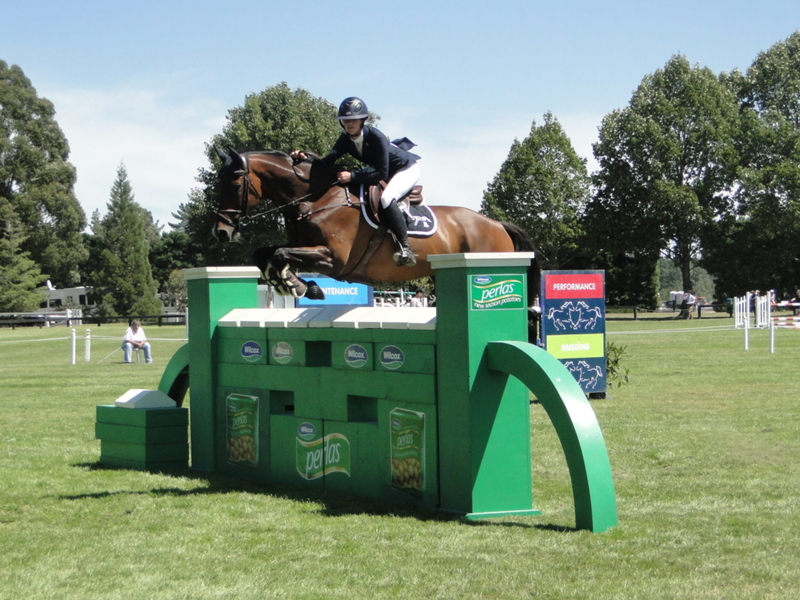 Competition was tight as expected in the Mainland Coachwork Ltd NZ National 1.20m Horse Championship. With a large number in the class it wasn’t until over halfway that known speed demon White and LC Umhlanga Rocks kept up their reputation finishing clear in a slick time of 55.53 seconds. Last to go, Lauren Buckley and Icey Storm came close stopping the clock just short in 56.09 seconds to settle for second place. Third place was taken out by Grace O’Sullivan and Cosmopolitan in 57.34 seconds, to keep the standings tight at the top. These Championships have a rest day on Saturday while the National age and rider series titles are competed for. The final two rounds on Sunday will see the leader boards shuffle according to faults. Therefore the pressure is on for those leading the way to stay clear and maintain their winning position. First Competition Dunstan Horsefeeds & Equifibre NZ National Grand Prix Horse Championship in association with Wilcox Perlas Potatoes: Lucinda Askin (Ashburton) Portofino 1, Nicole White (Invercargill) LC Samson 2, Harry Feast (West Melton) Double J Bouncer 3, Kimberleigh McCabe (Invercargill) Kace 4, Chris Harris (West Melton) Glenbrooke Archie Bunker 5, Steffi Whittaker (Springston) Eros K 6. First Competition Fiber Fresh NZ National Pony Championship: Noah Coutts (Dunedin) Bizzie Canoodling 1, Sophie Scott (Wellington) Benrose Playtime 2, Olivia Adams (West Melton) Mr Black Magic 3, Grace Manera (West Melton) Rednalhgih Cowan 4, Sophie Scott (Wellington) Benrose Eclipse 5, Rosa Buist-Brown (Burnham) Junior Disco 6. First Competition McMillan Equine Feeds NZ National 1.30m Horse Championship: Todd Magner (West Coast) Awatuna Jonesy 1, Dani Maurer (Auckland) Madam Coco 2, Sally Spicer (West Melton) Bella Vi 3, Tegan Fitzsimon (West Melton) Alacazam MH 4, Angus Taylor (Ohoka) Oak As 5, Dani Maurer (Auckland) Banderas C 6. First Competition Mainland Coachwork Ltd NZ National 1.20m Horse Championship: Nicole White (Invercargill) Lil LeRoux 1, Lauren Buckley (Queenstown) Icey Storm 2, Grace O’Sullivan (Sefton) Cosmopolitan 3, Kate Beattie (Dunedin) Smartymarty 4, Grace Percy (Glenorchy) Kiwi Spirit 5, Florence Tapley (Pigeon Bay) Ngahiwi Call Girl 6.